A Desi is how Indians, Bengalis and Pakistanis refer to themselves, but if you were raised in America, it is common to be called an ABCD or American Born Confused Desis. The belief among many South Asians is that Desis, who were born and raised in the United States, are alienated from their roots and more susceptible to embracing the American way of life. Hoimi Bandyopadhyay, 22, of Bombay, studies filmmaking at the New York Film Academy. She has cousins who were raised in the United States and said they are culturally more active than she is. “My cousins living here speak Hindi, watch Bollywood movies and celebrate Hindu cultural events,” she said. Bandyopadhyay feels that addressing someone, as ABCD is a bit derogatory as it implies that one is confused about his or her roots. She prefers to believe that the confusion for those living here is about adopting a certain lifestyle, not about one’s roots. Strolling down the streets of Jackson Heights, Queens is like walking through a mini South Asia. 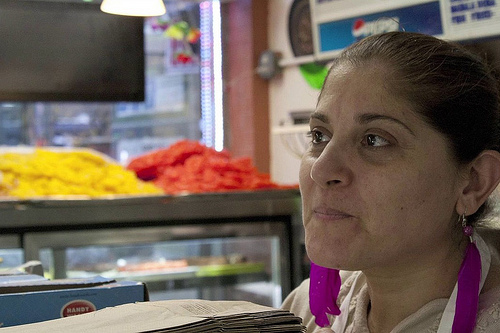 Indian and Pakistani restaurants dot the streets. The streets signs are in both Hindi and English. Tag Heuer Bollywood stars tote products on billboards. Mannequins in clothing stores are draped in saris. Sultana Tahrin, a 45-year-old housewife originally from Bangladesh, likes to bring her 10-year-old daughter, Maliha, to the stores that offer traditional jewelry, and shoes so she can foster her daughter’s interest in her native land and lessen the pull of American culture. Among these restaurants is a Pakistani eatery where Rooshna Javed, a Pakistani housewife, also works there as a cashier. Javed, of Woodside, Queens moved to New York 12 years ago. She said she has a 20-year-old daughter who wants to date outside of her culture, which she forbids. In fact, she is not allowed to date at all and would be immediately sent back to Pakistan for an arranged marriage if she disobeys. Javed feels the threats by her husband and herself have managed to keep her daughter “in control.” They get into many arguments over dating and marriage, but Javed’s husband has made the rules clear, as traditionally done so by the men of the house in a typical Pakistani household. However, a lot of Desis living in the United States feel more American than their parents would like to think. Mitch Thakron came to California from India when he was six-years-old and no longer feels much like an Indian. He has embraced the American Way from the food to the clothing, but deep inside there is a place that is still very much connected to India. “It’s the spiritual part about my culture that I want to internalize,” Thakron said. “I rebelled against it earlier, but I respect it now. I don’t think ABCD (American Born Confused Desis) applies to me. If I am going to be judged by my own people for living here, I don’t care,” he said. Culturally there exists a vast difference between America and South Asia. In the latter region, advertisements often depict women as cooking, cleaning and serving food to their husbands. “Good housewives” are mostly shown covered from head to toe. Women are rarely shown working in the corporate world. When Desi children are raised in America, they are exposed to a different, progressive media, and this fuels the perception gap between them and their parents. Anything too “American” is inherently in conflict with something too non Desi. Ali Nobil Ahmad, teaches modern history at Lahore University of Management Sciences in Pakistan. He has published articles and chapters on gender, sexuality and migrant labour. Nobil said there can be a discrepancy in aspirations between generations of Pakistani or Indian Origin. 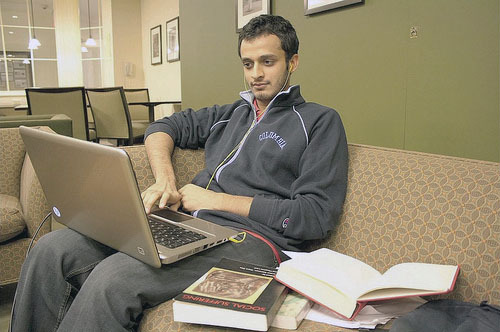 Ammar Khalid, 26, is an Anthropology student at Columbia University from Multan, Pakistan. After having interacted with Desis in the US, he feels the term ‘ABCD’ is irrelevant precisely because a Desi subculture exists in America now. He feels there is some truth to the fact that people who grow up in the United States mediate between conflicting values or ideals. “I think this idea that people who grow up here are ‘confused’ comes from the assumption that the West is modern and the East traditional, and thus people living here are exposed to conflicting values which they find difficult to reconcile,” said Khalid. But Khalid questions how their confusion is different from one’s confusion having lived and grown up in Pakistan. He feels the distinctions between ‘modern’ and ‘traditional,’ are conflicting cultural paradigms that people are caught between. A similar view is that of Hafsa Rahman, a 27-year-old medical student at St. George’s University in Michigan. She moved to the United States with her parents from Karachi, Pakistan when she was eight years old. Rahman said she and her parents grew up in different cultures, but the difference of opinion is not merely because of a cultural gap, but more so the current times and its influences.